I first met Joseph Ntunyoi when I picked him up at LAX in 2013. “Joseph, we can get on the road now and sit in traffic for three hours, or we can get a drink at a bar and wait it out” I surprised him by asking in Swahili. Luckily, he chose the latter, and we since have become good friends. Joseph was heading to Quail Springs as a lead instructor for the farm’s Permaculture Design Course for International Development. Warren Brush, the other lead instructor and an advisor to the Permaculture Research Institute – Kenya, had been impressed by Joseph who had done wonders at an orphanage and permaculture farm Nyumbani Village and was starting his own permaculture project in his home area of Laikipia. Though Joseph will not be making the trek for this year’s course, Permaculture for Resilience (May 2017), we continue to learn a lot from him and his work. Course participants will hear from a range of experts in international development topics, and acquire the skillsets necessary to cultivate solutions from many of the problems we face. 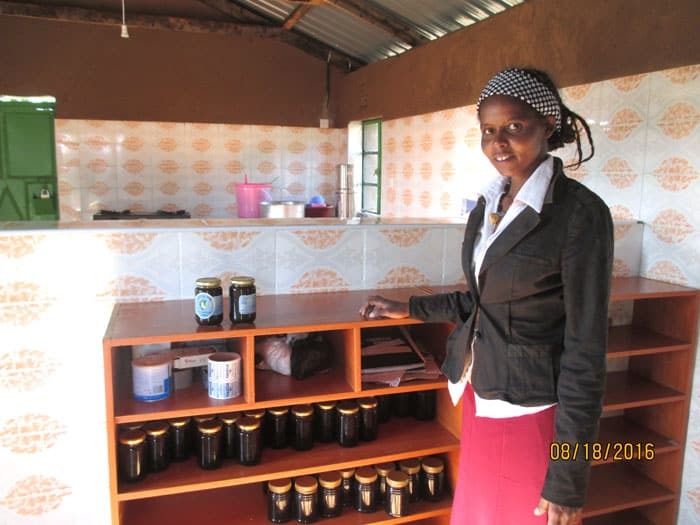 The story below is of a recent permaculture solution from Laikipia, Kenya. Over the past years in the remote, dry Maasai grazing lands of Laikipia county, Kenya, have seen a major vegetative change. Prickly pear cactus, native to the Americas like almost all true cacti, has managed to spread and become common in about 70% of Maasai grazing areas around Laikipia. Cattle are injured in their attempts to graze, especially around any trees where the cactus have colonized. And as cattle are the life-blood to Maasai society, this is a huge issue. In mid-August of this year, the governor of the county called together a stakeholder meeting in attempt to address the progress of this prickly plant. Most of the proposals included eradication of the cactus – through manual removal, chemicals, burning, etc. One proposal offered a different path, however. Instead of viewing the plant as only a nuisance, why not make use of the plant through potential value-added products – many cultures internationally have utilized the pads and fruits as vitamin-rich food sources. Spending a month in early 2015 at Laikipia Permaculture Center (LPC), I learned that Kenyan Joseph Ntunyoi is a man who gets things done. For instance, Joseph had fallen in love with the cob houses at Quail Springs when he was a guest teacher at the site in 2013, and today LPC has an impressive array of cob structures. One of which is an agro-processing facility for the production of cactus fruit juice, jam, and wine. And it was just a year and a half ago that Joseph was thinking about the potential for such a business. Joseph wrote a proposal to LUSH cosmetics’ Sustainable LUSH Fund for assistance with the project, and it was granted. 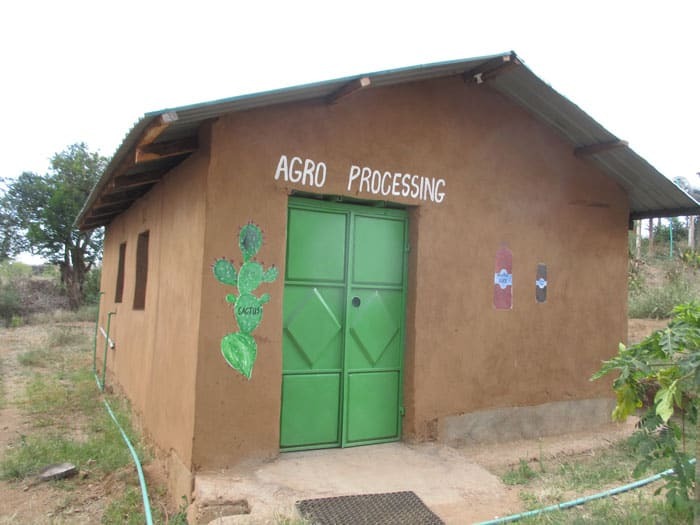 Today the agro-processing building is staffed by local Kenyans (the project is expected to employ 140 people) and is processing about 500kg of fruit into jams, juices, and wine – thus preventing more than 100,000 seeds from possible germination. They are hopeful about both domestic and international markets. The government officials at the stakeholder meeting were impressed by the idea that the plant could produce marketable products leading to income for the local community. Eradication does not seem like a feasible option; it would take a substantial amount of funding not available from the county budget, and years of labor. Hopefully, LPC will continue turning the problem into the solution and others will follow suit. 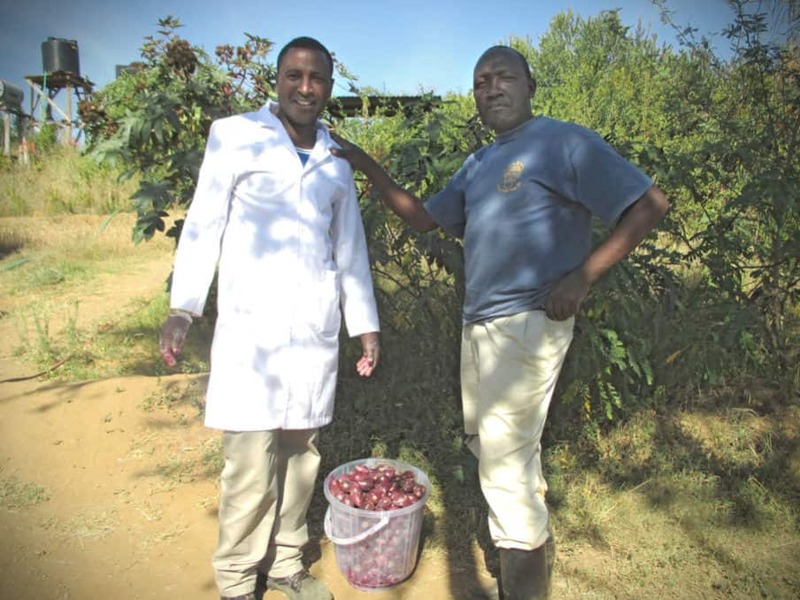 Staff with value-added cactus fruit products ready for market. Now the cactus is not nearly so rampant. However a similar solution went wrong when cane toads were introduced (to control cane beetle)without proper scientific research . Where can I buy cactus juice in Nairobi? Would love to know how to Andrew Clinard and/or Joseph Ntunyoi for an essay that could be published in the March issue of The MOON magazine on permaculture. Thank you for your help!